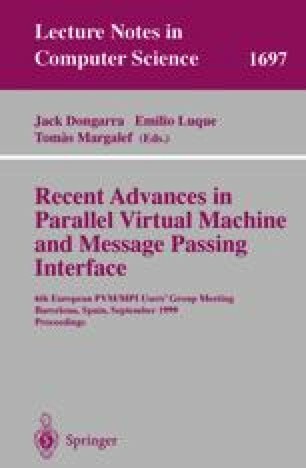 With the growing importance of fast system area networks in the parallel community, it is becoming common for message passing programs to run in multi-programming environments. Competing sequential and parallel jobs can distort the global coordination of communicating processes. In this paper, we describe our implementation of MPI using implicit information for global co-scheduling. Our results show that MPI program performance is, indeed, sensitive to local scheduling variations. Further, the integration of implicit co-scheduling with the MPI runtime system achieves robust performance in a multi-programming environment, without compromising performance in dedicated use.